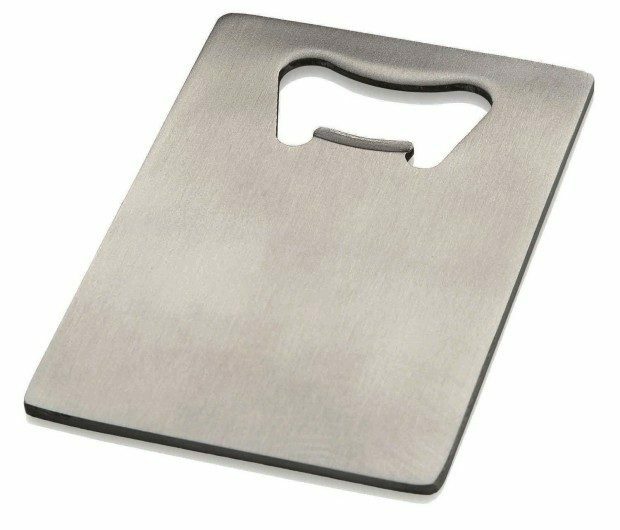 Credit Card Bottle Opener Stainless Steel Now Just $2.20! (Reg. $10) Ships FREE! You are here: Home / Great Deals / Amazon Deals / Credit Card Bottle Opener Stainless Steel Now Just $2.20! (Reg. $10) Ships FREE! Get a few of these and give them as gifts! Head to Amazon to get the Credit Card Bottle Opener Stainless Steel Now Just $2.20! (Reg. $10) Ships FREE!